CINCINNATI (October 8, 2018) – ProAmpac, a leader in global flexible packaging, announced today its novel four-sided, tetrahedron-shaped E-Z SnackPak™ pouch in partnership with PepsiCo Mexico Foods for the Doritos® Icognita™ brand has won two industry awards. The flexible E-Z SnackPak™ received a Gold Award from The Dow Chemical Company’s 2018 Awards for Packaging Innovation, which recognizes the packaging industry’s top achievements in innovative packaging designs, materials, technologies, and processes. E-Z SnackPak is one of eight Gold Award winners from “hundreds of very strong submissions,” that were announced by Diego Donoso, business president for Dow Packaging & Specialty Plastics. In June, the Doritos design with E-Z SnackPak received the 2018 Star Pack and Packaging Award from The Mexican Association of Packaging (AMEE), an annual contest recognizing new materials, designs and products that reflect innovation and creativity. The award was presented to PepsiCo Mexico Foods’ Sabritas packaging and purchasing team and ProAmpac at EXPO PACK Mexico produced by PMMI, the Association for Packaging and Processing Technologies. “E-Z SnackPak is a unique format that’s literally changing the shape of flexible packaging,” said Adam Grose, ProAmpac’s chief commercial officer. “PepsiCo Mexico Foods introduced the E-Z SnackPak for Doritos® in March,” Grose said. 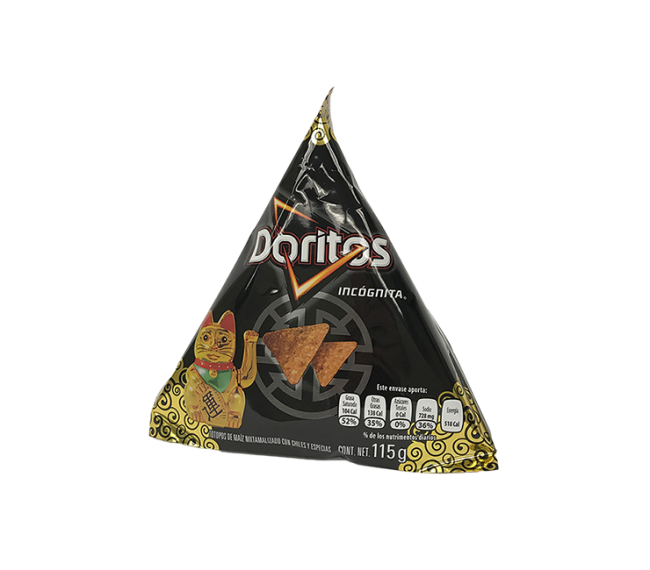 One industry observer called it a “strikingly attractive flexible pouch” for Doritos® Incognita™, he added. “The E-Z SnackPak replaces traditional pillow pouches using up to 25 percent less material. It is easily opened to form a serving tray that is shareable and where users can even pour salsa – both of which are popular in the Mexican snacking culture”, said Alex Jones, Senior Innovation Engineer with ProAmpac. PPC Partners acquires and operates North America-based middle-market companies with leading positions in the manufactured products, services and healthcare sectors. Led by Tony Pritzker and the former investment and operating professionals of Pritzker Group Private Capital, the firm’s differentiated, long-duration capital base allows for efficient decision-making, broad flexibility with transaction structure and investment horizon, and alignment with all stakeholders. PPC Partners builds businesses for the long-term and is an ideal partner for entrepreneur and family-owned companies. For more information, visit PPCPartners.com.